Now *I* need a student teacher! 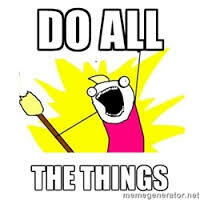 Also, I need a little LovemysummerCamp to work on applying this. How reusable is this rubric? I like the task-based stuff on the left–easy to swap out–but is the rest something that pretty much applies across the board for any type of presentational assignment? Maybe just writing? How much is from proficiency standards? Is any just from personal preference or observed deficits in your specific classes? Why do some have checks only on the left, some only on the right, but the one in both? I want to steal this so bad, but I need at least a Hangout to walk me through it! This is a wonderful idea! my only concern would be time consuming but I think it would work perfectly. Would you mind sharing a copy of it? Thank you for sharing. I would love a copy. This is wonderful! I love that it’s very clear, quick and yet provides much-needed feedback for students to inform their writing (or speaking). I would love a copy when you have a chance. Gracias for always sharing your hard work with us! Thank you for sharing this great feedback resource. I would love a copy. This is amazing – simple and straightforward! I, too, would love a copy, if you’re willing to share! I would love a copy of this. All bloggers of world language amaze me including you. Thanks. I would love a copy too?! I love this! But, I couldn’t download the sample. 😦 I’d love a copy, if at all possible. I’ve updated the link above. Check your email too! Let me know if that doesn’t resolve the issue. Thanks for reading and for the encouragement. This is excellent timing! Thank you so much for sharing this with the web! I’d love to hear how you will give a letter grade or points from this? Green = A, yellow = B? 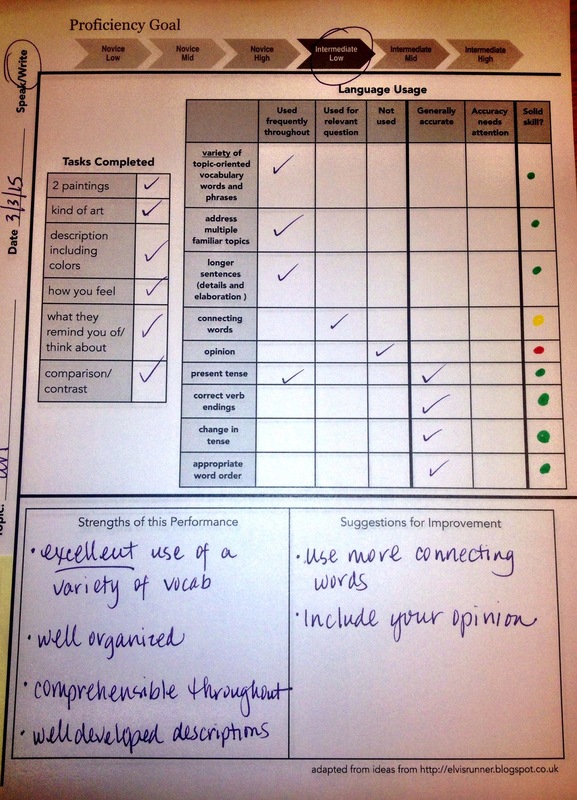 I feel like this form will provide my students with more useful feedback than a rubric (the latest one I’ve used is broken into categories – amount of details and elaboration; variety of vocabulary; comprehensibility; task completion; and accuracy). I’m just trying to figure out how to marry them together (points / grade & feedback). Not to mention that your great form has them thinking about longer sentences and transition words too. Thanks again. I’d love to hear your thoughts. Thank you so much for this post! 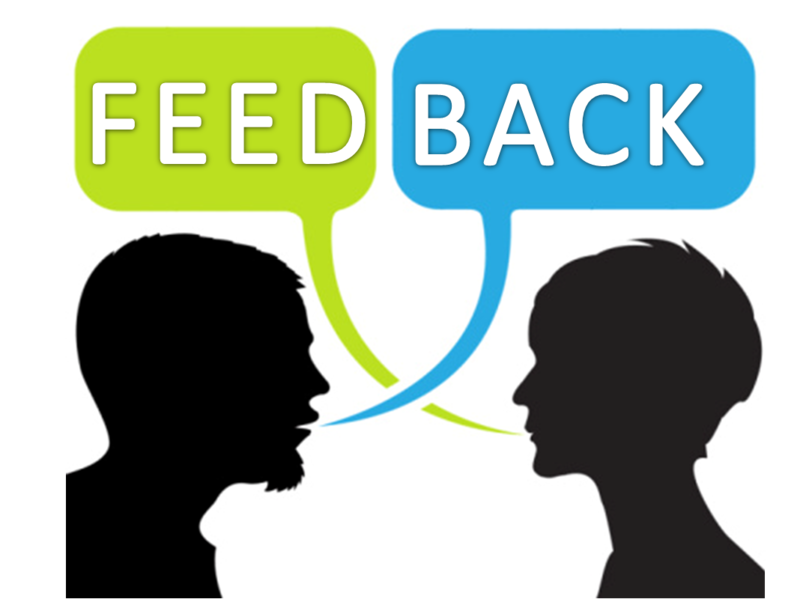 I’ve been thinking on how to give my students more individualized feedback instead of just a grade. Thanks for sharing your great ideas!